Some of you already might have stumbled upon this new Steem account: @the-magic-frog. 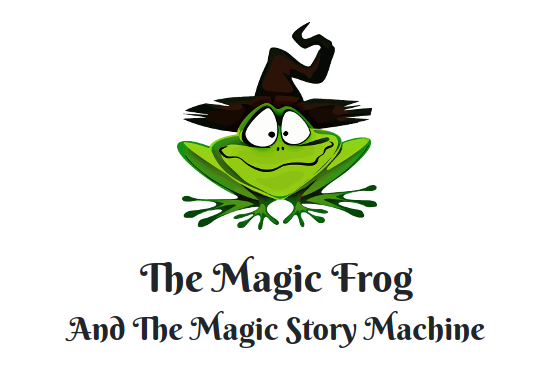 The Magic Frog is a fun project around collaborative storytelling and maybe also promoting Steem. I want to share this project with you because maybe I could need some help with developing some features and I also want to expose this project to a greater audience, the Utopian community. Because after all... I'm really serious about this and I want it to become big. I highly recommend to read the introduction post here. It was great fun to write it and it gives the project some character. But since this is a development contribution I will share some of the "technical magic" happening in the background. The rewards those posts generate are used to reward the participants and power up the account. So whenever a story ends, half of the author rewards from those posts are given back to the community. Either by raffle or splitting the pot based on how many parts a participant has contributed to the story. I haven't decided yet. Maybe a mix of both. Once the bot account has enough Steem Power, it could maybe give small upvotes for everyone who participates and a full upvote for each winning comment. The bot also upvotes all the story posts to ensure a minimum pot. The more Steem Power it has, the bigger the minimum pot and the reward for simply participating. Today is day 14 of the first story. It turns out to be exactly what I expected to happen. It starts with good and serious intentions but then drifts into a very questionable direction. Perfect! "Wait!" said one stork, "do we really want to see the wizard naked?" The imagery started to flow through their minds, but they figured that they would be fine. It reads all the comments of the most recent post and picks the one that is valid and has the most upvotes. The voting weight or SteemPower of the voter is ignored. Whatever the community decides to append to the story gets appended in the new post. It's a node script and a little helper file that uses the steemjs library. Idea: Maybe this approach of using comments as commands for what happens in the next post or whereever... could be a thing of it's own, a little helper class to easily configure commands and actions. But that's just an idea. Maybe someone want's to pick it up. Currently the website gives a brief introduction to the project and displays the current story, its pot value and the suggestions how the story could go on. You can login via SteemConnect to vote on the story and other comments and of course write your own one. The Website is built with Nuxt.js, a framework on top of Vue.js. There is the main page and an auth page to receive the SteemConnect access_token and safe it in a cookie. The rest is just fetching some async data, connecting to SteemConnect and some templating. The website uses Bootstrap-Vue, a very nice bootstrap integration for Vue.js. With Nuxt.js you only need to select it on install and you are ready to go. There are currently no notifications, except for one error message. I implemented vue-notification for that. There will be more notifications, for example when your comment gets upvoted or makes it into the story or when a story ends and aaaaall the money gets distributed. I used the component functionality only for the Navbar, the LikeButton and the Commands. Everything else happens in the index file. There still is a lot of room for improvements. Style the Auth Page... at least a little bit. Bye the way... Thanks a lot @wehmoen, for sponsoring the domain and the server for the website. As I mentioned earlier, I want to make this project big. If it reaches a certain size and popularity and once we have generated some interesting and funny stories I can easily imagine to publish a printed version, in small numbers. @the-magic-frog currently has less than 50 followers. I want 1000... at least! So I definitely need some influencers to promote the project. See this post as a first call for such people, but maybe there will a separate Task Request for that and other things on the list. I definitely see some stickers on traffic lights and street lights and for sure there will be banners on Facebook (if they don't ban it :D) and elsewhere. Currently the project is only in English but of course, theoretically there can be a version for every language. I will take care of the German version myself very soon, but if you are interested in supporting the project in your language, you are very welcome to contact me and we can make it happen. I will cover the technical part and you can translate the background story or come up with your own. Everyone is welcome to help the project to grow, of course! For the start the most effective way of doing this is sharing the story posts, upvoting them to raise the pot, and most important... participate! Use the website to submit your comments and vote on other peoples ideas! There are already two interesting suggestions today! If you do not consider yourself to be the incarnation of creativity itself... but you also feel way to powerful, you can share some of your power and delegate it to the frog. I initially delegated 500 SP but I think it can be some more. Of course 50 % of the rewards will be powered up, so upvoting the story posts also helps very much... but if you want to give the frog an instant boost... feel free to delegate a little something. Maybe I can come up with a way to reward delegators as well. We'll see. The.... the.... the architect! So all the rumors and myths are actually true. Wow! He's the father of... literally.... EVERYTHING! I'm fine... but what a revelation! I'm still shaking! mit Wohlwollen habe ich Ihren Beitrag gelesen. Vielen Dank, dass Sie sich an der Steem Blockchain beteiligen. Vielen Dank für Ihre Aufmerksamkeit! 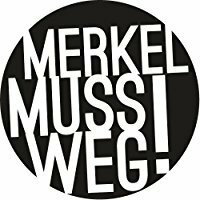 Die deutsche Version wird bald veröffentlicht! As for other languages, I think it's definitely worth asking @justyy, one of the five Chinese Witnesses, to see if he knows anyone that would be interested in this project in Chinese. The idea is really interesting and I'm enjoying participating in it. Too bad that there are very few participants at the moment. It could really use some more love thats for sure. My account is new so I don't have much followers yet. Nonetheless, I will still resteem this to show my support. Hey @mkt! Thank you for the great work you've done! Seems like this will be an international project... :D Give me some time pls! I'll come back to you! Thank you for the contribution. It has been reviewed. Please add a license to your github repo. I love projects like this, rewarding creativity is a very lofty goal. I'm also interested in getting the French version going. I would like to help you by running the Romanian version! Awesome! I will come back to you once I've set up all the prerequisites for multi language support! Thanks for your contribution @mkt. I've joined the others who've scored it. Let me also say as an aficionado of collaborative writing I am very excited about this one. Both from a user's and developer's perspective it promises to be a lot of fun. 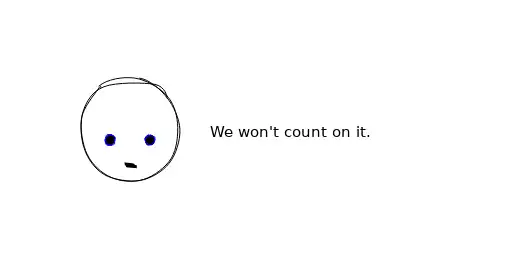 One of the things the questionnaire asked us to score was your commit messages. Your messages were okay but could have done more to inform other developers of the intent and process behind each commit. Writing as if we were telling someone else what needs to be done encourages us to find the essence of each commit. Tiny commits are also easier to write about. Another area the questionnaire asked us to score was 'completeness' of your comments. I gave you the highest rating in this area because your code was understandable, followed readable conventions, and didn't need extensive comments. The comments that were included were appropriate for reference and warning. In my opinion this is the practice that should be encouraged over writing lots of comments. Again, I think very highly of your project. The feedback above are just some finer points to help you score even higher.